Kilauea exploded at its summit Thursday, sending ash and rocks thousands of feet into the sky. VOLCANO, Hawaii — Experts remained flummoxed Friday about when Hawaii’s Kilauea volcano will calm down. 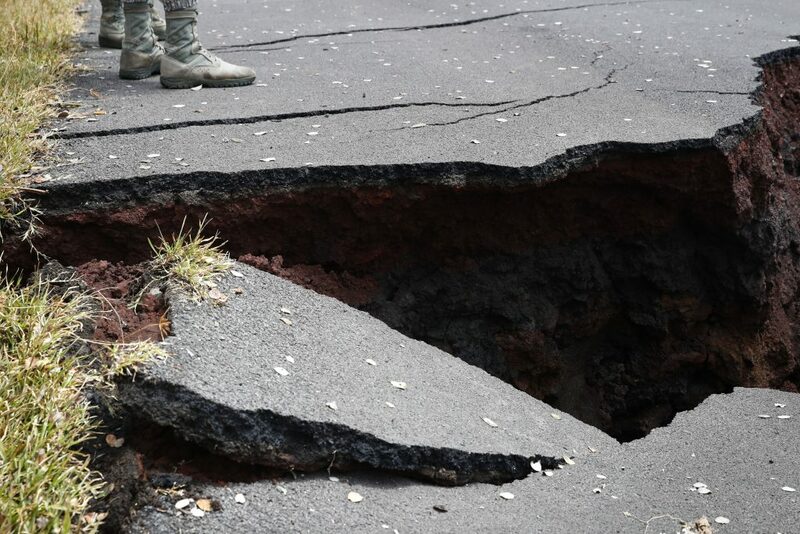 It came after the volcano had sent lava flows into neighborhoods 25 miles to the east of the summit and destroyed at least 26 homes since May 3. County civil defense officials on Friday reported a new lava vent in the area — the 22nd such fissure. More explosive eruptions from the summit are anticipated. “Trying to understand when a volcano is going to stop erupting is nearly impossible, because the processes driving that fall below the surface and we can’t see them,” said volcanologist Janine Krippner of Concord University in West Virginia. She noted that authorities have been able to usher people to safety. The Federal Aviation Administration extended a restriction on aircraft from entering the airspace up to 30,000 feet above sea level. The prohibition applies to a 5-mile radius around the crater. Thursday’s eruption did not affect the Big Island’s two largest airports in Hilo and Kailua-Kona. 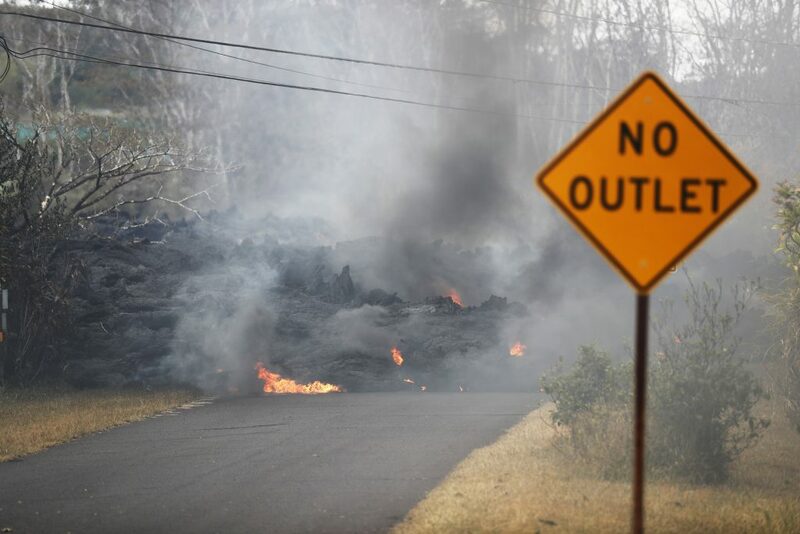 The greatest ongoing hazards are the lava flows and hot, toxic gases spewing from open fissure vents close to homes and critical infrastructure, said Charles Mandeville of the U.S. Geological Survey’s volcano hazards program. Hawaii residents are covering their faces to keep from breathing small particles flying through the air after Thursday’s eruption. 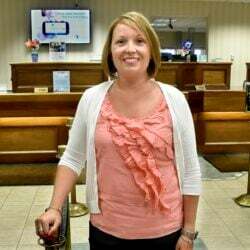 Lindsey Magnani said Thursday that she and her family, including two young children, picked up masks distributed by county officials and had to close all the windows in their home because the air smelled like sulfur. Authorities handed out around 2,000 protective masks for people living near the volcano. Geologists have warned that the volcano could become even more violent, with increasing ash production and the potential for future blasts to hurl boulders the size of cows from the summit. 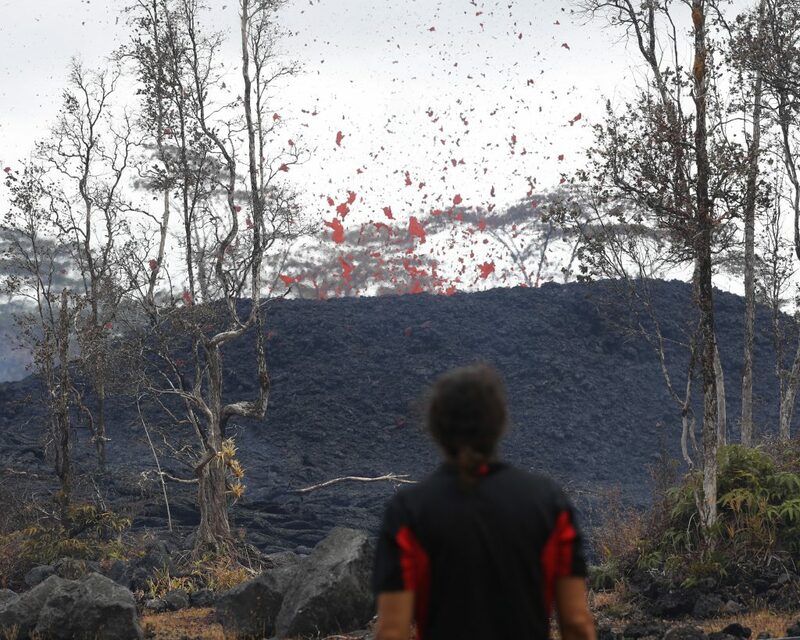 After Thursday’s eruption, however, most residents found only thin coatings of ash, if any at all, as winds blew much of the plume away from populated areas. The crater sits within Hawaii Volcanoes National Park, which has been closed for a week as a safety precaution.